Despite Halloween being a thing weeks ago, horror movies are still coming out and existing. I gave horror movies a whole week! What gives? Apparently I have to see horror movies outside of October too, which is dumb. Wouldn’t it be nice if every month had a genre theme? December would be my favorite month, because it clearly would belong to Musicals. June would be animated musicals. That is all nonsense. 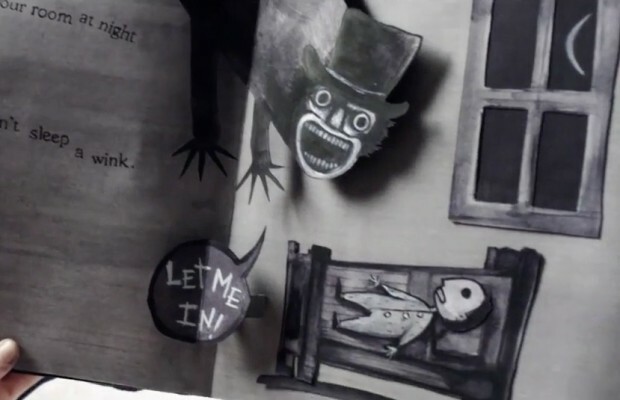 I am now going to talk about The Babadook, an indie movie outside of Australia with a budget that all went towards making the creature. That’s right, it’s a creature movie. And a movie involving books. How scary! This is a simple story about a mother and her child. You see, Amelia (Essie Davis) is a single mother, because en route to the hospital to give birth they got into a car accident and the husband didn’t make it. Kind of a bad thing to happen on a day of life. So life has been rough. She works at a nursing home, which pays enough for them to get by, although they aren’t rolling in the dough. And her son, Samuel (Noah Wiseman), he is a weird one. My guess is some sort of autism, but they never really say anything. He is definitely a loner, likes to yell, has behavioral problems in school. He pretends he sees monsters and wants to fight them, so he builds crude imaginative weapons to fight the invisible ghouls. Well, Amelia likes to read to her son before bed. And today he wants to hear “Mister Babadook,” a pop-up book she doesn’t remember getting for him. Well, it is really odd and eerie, talking of a boogie man that once you know of its existence, will never lead, and it freaks the boy out. And guess what the book unleashes. Guess. Come on. Guess. You probably couldn’t even tell. Also with Barbara West and Daniel Henshall. They are important to the story. I guess. Yeah, this picture alone just looks like autism to me. This is not your typical current horror movie. It doesn’t really feature jump scares, it features a unique new creature, and it is pretty frightening at times. Aka, what you want in a horror movie! Many different aspects of this film are unsettling, including just how Amelia/Samuel look throughout the film. Clearly the kid is creepy, with those big popping eyes and pale skin. The mom does a great job too, always slightly disheveled, conveying the emotions of someone who just can’t take it anymore. Someone who thinks they are literally going insane. It was eerie and great. And hell, The Babadook didn’t even look that silly. It had a clear lower budget feel to it, but based on the animated from the books, from the boogieman stories and from nightmares in general, the style really worked for me. Even the creepy noises and voice he made seemed great. 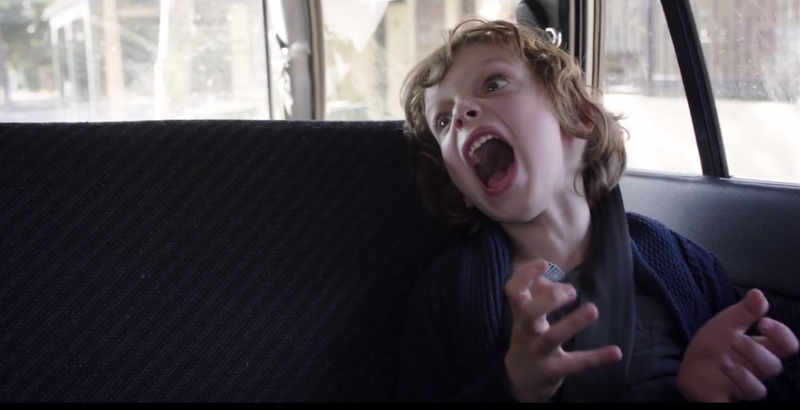 The Babadook is on video on demand, and you most likely won’t see it in theaters anytime soon. But if you want a relatively unique and decent horror, this is one of the better recent ones to check. The theaters/Hollywood have been failing us over October, so this might be your best bet.